Over the next couple weeks an official MHDC2018 landing page will be put together, so we can archive all the presentations and links to the videos. As of March 25th, YouTube is still ‘processing’ the live stream, which ended up being almost nine hours long. When it is done, it will get flipped over to being publicly available and a link added from here. Our video editor (Budd-WB7FHC) is going to work on taking the live stream and all the raw video to produce individual videos for each talk. As he gets those done, links will be made available on the MHDC2018 landing page. Here is a link to Kenny’s slides. Here is a link to Bryan’s slides. Here is a link to Dr. Taylor’s slides. Here is a link to Guus’s slides. Here is a link to the second set of slides. Here is a link to the first set of slides. MHDC 2018 – Live Stream! 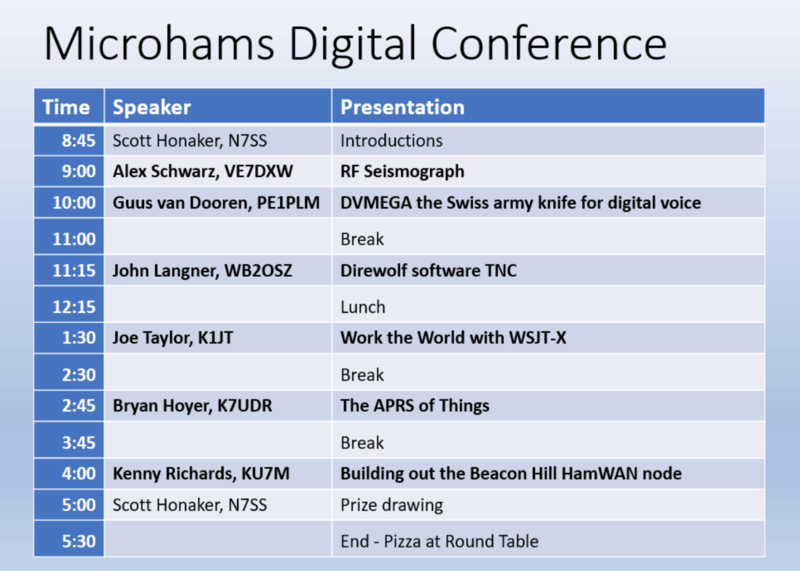 The official MHDC AV team will be streaming the conference live this weekend, so people not able to attend in person can still watch. We will be using YouTube and plan on having the cameras live by 8:45am when Scott-N7SS kicks things off. I’ll be monitoring the chat room during the day, so if someone watching remotely would like to ask questions, you will still be able to. I will do my best to post the slides for each talk prior to the talk starting, so you can follow along remotely. We would like to pass on some additional parking information for the 2018 Digital Conference. 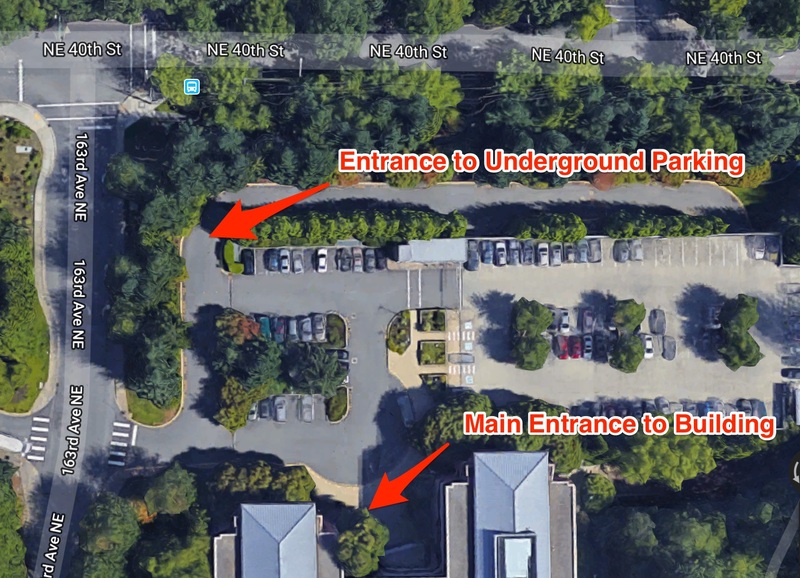 The picture below shows where the driveway is to access the underground parking for Building 30 if the above ground lot is full. There are both stairs and an elevator to get back up to ground level. The picture also references the front doors of the building, where you will need to enter.